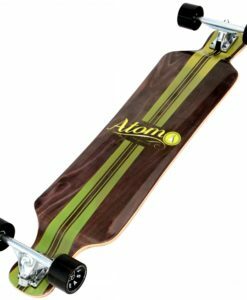 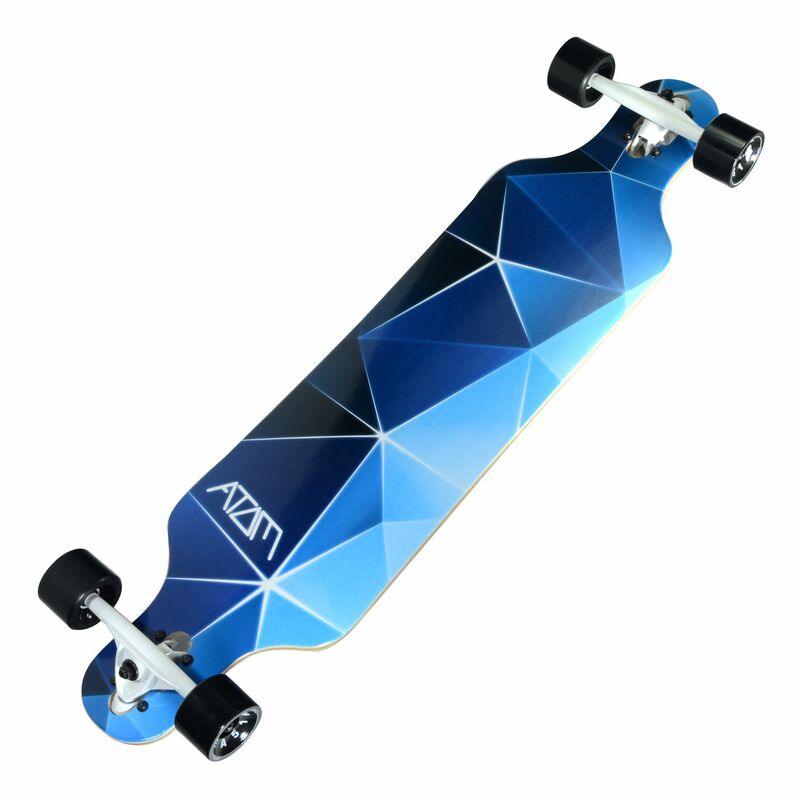 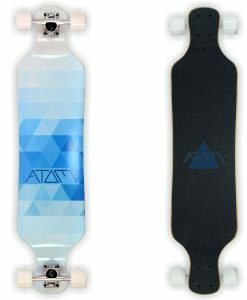 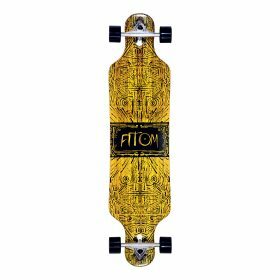 Get more down to earth with an Atom drop through longboard. Maximum stability makes this a great choice for downhilling, while its ease of pushing is perfect for long distance riding or just kicking around town/campus. 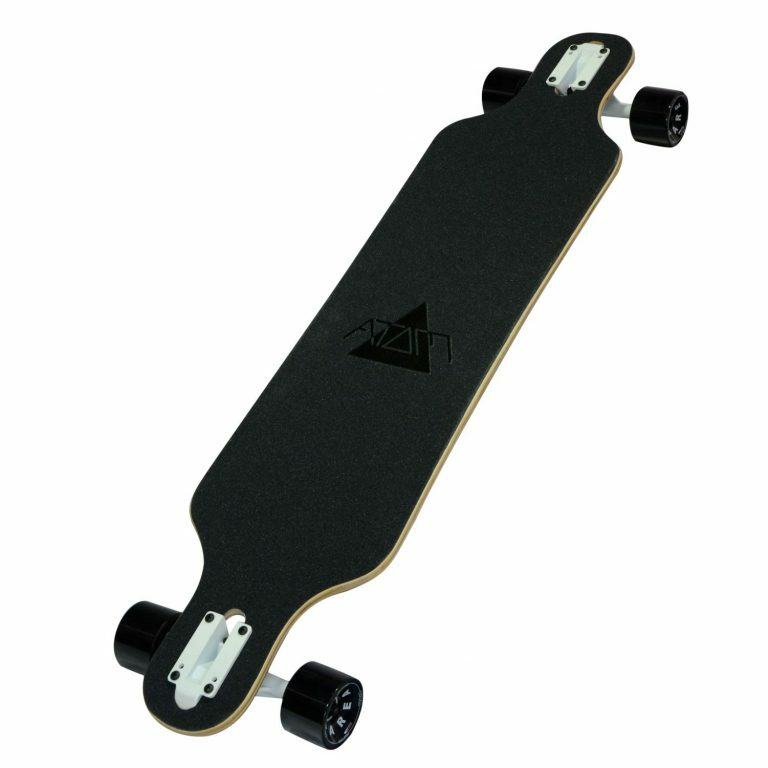 You’ll love this deck’s full 10 inches of turning leverage while never needing to think wheel bite. 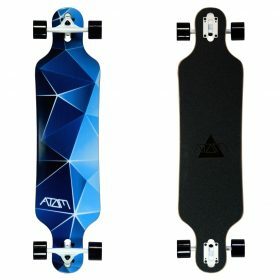 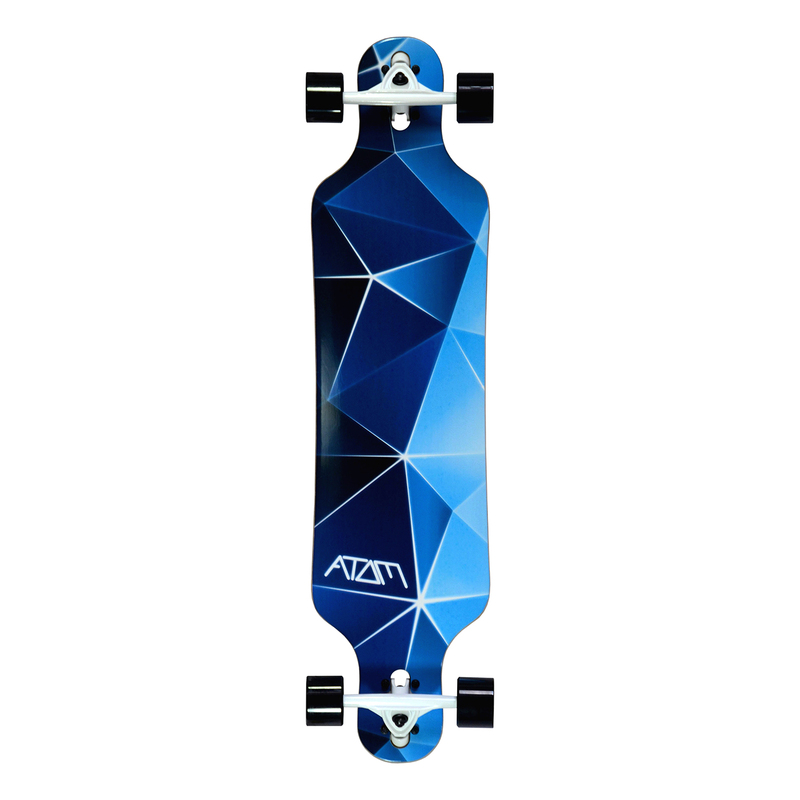 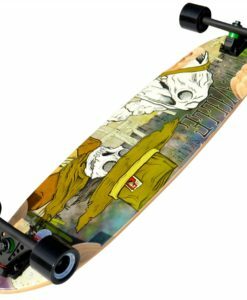 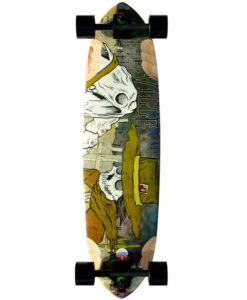 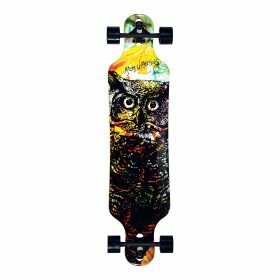 Choose a graphic that suits your style and a spec that suits your budget to find out for yourself why this board will be the one you grab on your way out the door time and time again. 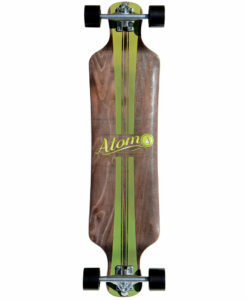 Deck: 8-Ply Maple laminate – CNC drop through cut-outs – Photo heat transfer graphic. Trucks: Reverse King Pin – 50 degree base – 7 inch aluminum hangers – heat treated CrMo axles – Grade 8 King pins. 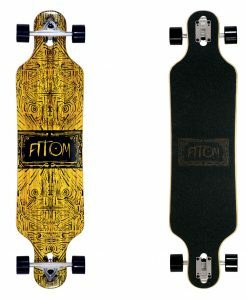 Wheels: Atom AREA 51 – 70mm diameter x 51mm wide – 78A – Super High Rebound. 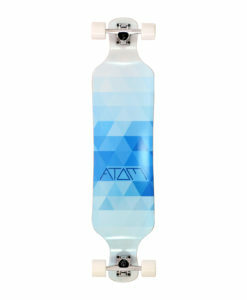 High speed. 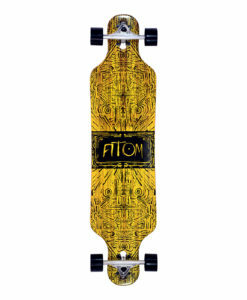 High traction. 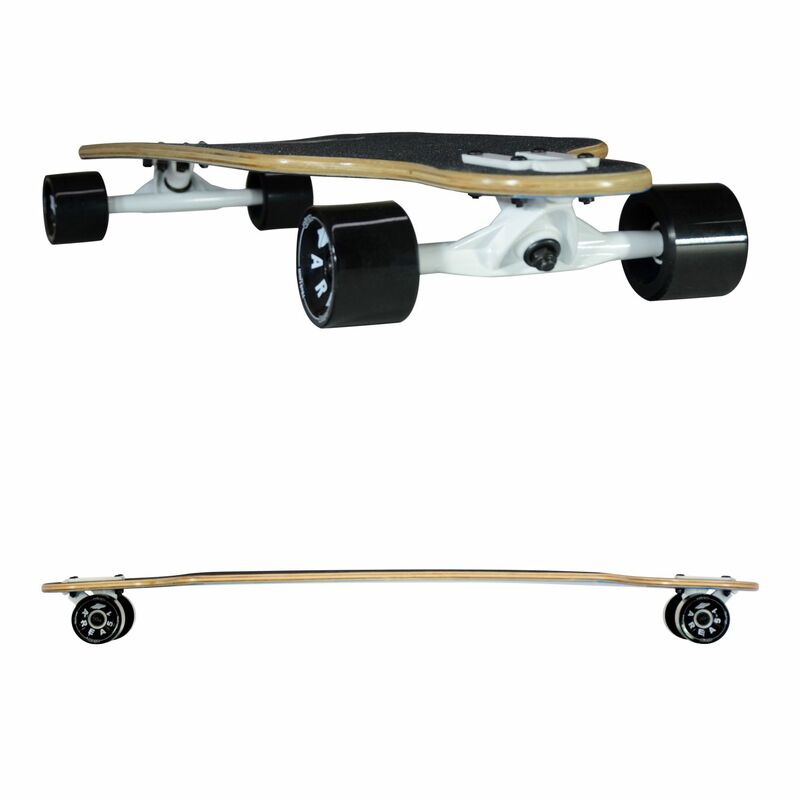 Bearings: Rubber shielded ABEC 9 with high speed lubricant.